The StoryCenter serves as the community’s welcome center and central location for information about Wildlight. 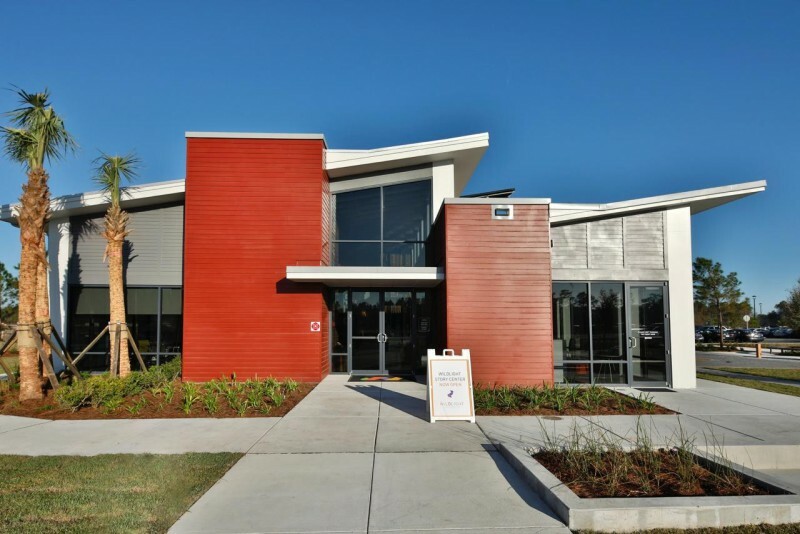 Featuring Wildlight’s signature Florida Lowcountry architecture, the StoryCenter provides a glimpse into the town’s unique character. “As the first stop for future homeowners and business investors considering a purchase in Wildlight, the StoryCenter is vital to telling the community’s story,” said Charles Adams, Vice President of Community Development for Wildlight. In addition to the StoryCenter opening and construction of the first model home, Raydient Places + Properties, Wildlight’s developer, has selected CCMC, a nationally-recognized community management company, to develop community programs and services for Wildlight. With over 30 years of experience, CCMC brings people and neighborhoods together by focusing on human connectivity.